The best tips for planting shallots in your backyard vegetable garden are really quite simple. It's easy to plant, grow, harvest and store shallots when home gardening. Shallots are a member of the onion family. The edible bulb has a delicate onion-like flavor. 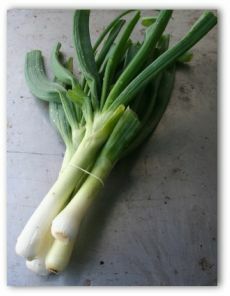 The small bulbed onions have long, green leaves and are sometimes called scallions or spring onions. Planting scallions are used mainly for cooking. If you are interested in shallots, then you are in good company, as it is one of the favored crops also be planted in any garden! Sowing shallots begins with loose, well-drained fertile soil. Begin by separating multiple bulbs and planting each individual bulb with the root end down. Space shallots 6 to 8 inches apart with foot spacing between rows. In very cold locations, spring is the ideal time for growing shallots. Shallots prefer a soil pH 6.0 to 6.8. The looser the soil, the bigger your shallots will grow. 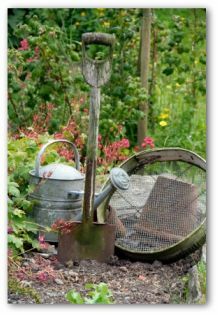 Prepare the vegetable garden bed by working in well-aged compost. Test the soil for adequate amounts of phosphorus, and adjust as needed. Plant so that the tip is level with the surface of the soil. 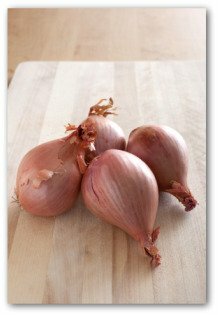 Shallots form a cluster of up to a dozen bulbs around the original. This bulb cluster spreads out, requiring adequate space between plants. Even though we are avid supporters in adding mulches into the vegetable garden, growing shallots are an exception. Mulch is not recommended as the bulbs are not strong enough to push through, causing them to rot. 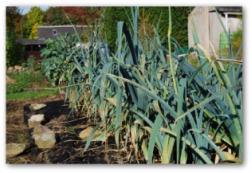 Water well after planting your shallots; in heavy soils, shallots should be watered lightly. 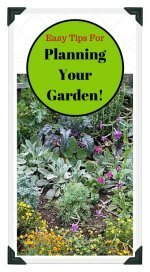 You will not have to schedule watering again until the soil dries. 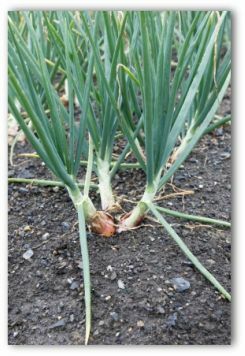 Although shallots require food and water just as other plants, without proper drainage, the bulbs will become rotten. Before the bulbs start to get larger in the springtime, fertilize shallots with compost or fertilizer. The bulbs should remain weeded and well watered. A good rule of thumb to follow is to provide the plants with at least 1 inch of water each week for the best results. Any seed stalks that develop should be removed so the plants direct their energy into forming bulbs. If shallots are allowed to set seed, further growth is reduced as the plant's energy is directed to seed production. This makes it necessary to nip out bolting shallots. One plant flowering may cause others to do likewise, so a bolter must be removed before it causes others to bolt as well. Shallots can be grown easily from offsets shared among neighbors. Save extra bulbs for planting shallots in the cool fall season. 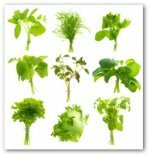 Plants can be used in many forms of pest control. A plant with a stronger odor may disguise another from harmful insects or attract the pests away. Planting shallots reduces aphids, leaf hoppers, and moth attacks on potatoes. On the other hand, this garden companion planting may encourage thrips. When the shallot tops are drying, harvesting time may begin. To harvest, pull up the clusters and dry in a warm location, provided with shade and air circulation. Avoid leaving shallots in the direct sunlight to cure. Too much sun may damage and cause rotting to occur. Store shallots in cool, dry areas inside mesh bags such as supermarket onions are bagged in. If kept at an ideal storage temperature between 35 to 45 degrees, shallots can be stored for up to 8 months.